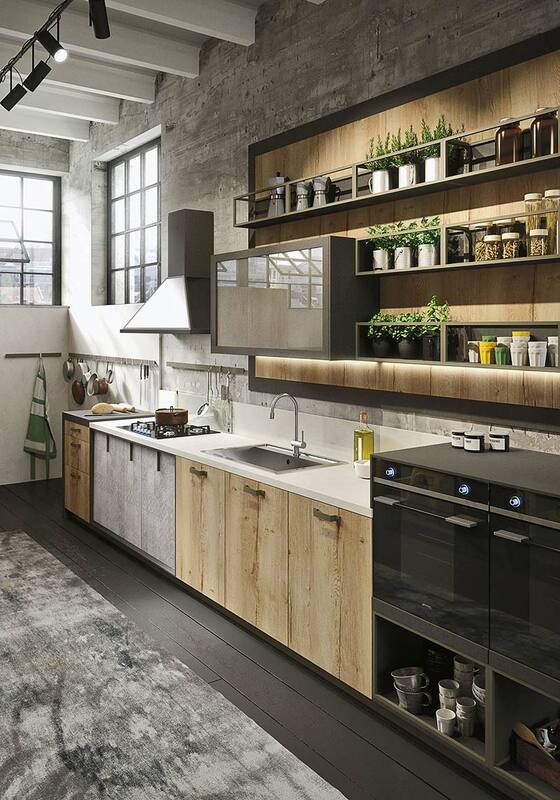 Loft delivers a fully equipped kitchen design that makes you want to just sit and stare. It delivers a rustic ambiance that is clutter free, while still being eclectic enough to create curiosity in a room in the home that is always the most popular – the kitchen! This urban delight sets the trend with natural raw wood, elements of metal and a side of glass – creating a vintage industrial space that is large on character yet compact in size. 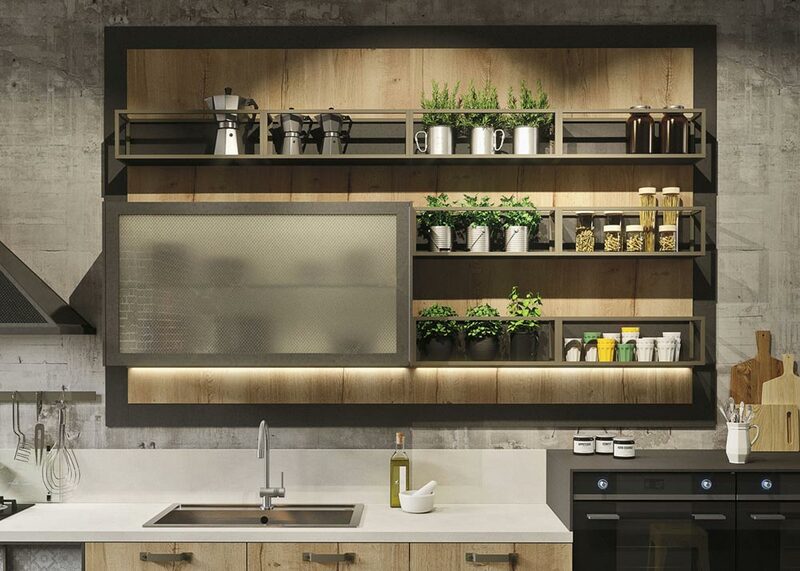 Intended for the ever-popular kitchen offering an open floor plan, Loft has built-in cupboards, over-hanging cabinets, optional pantries, and multi-facetted drawers with organizers that will tickle even the most OCD of “a place for everything, and everything in it’s place” types. 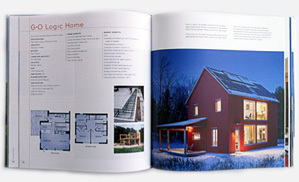 Loft boasts of fixtures and features such as the Nolita handle with a Peltro finish – renowned for it’s “ergonomics, practicality and a strong personality”, and the structure as a whole prides itself in its used appeal, offering painted aluminum doors and handles, and wire glass Bronzo finishing. An overhanging Oslo hood can either be purchased in white, or with the same industrial Peltro finishing – alternately there is a St. Louis hood which comes standard with the Peltro finishing and a covering of colored wire glass Bronzo. Loft recently introduced their Snaidero Container – hailed as a “room within a room”, coming in 2 sizes and offering 3 different solution styles for your household needs. 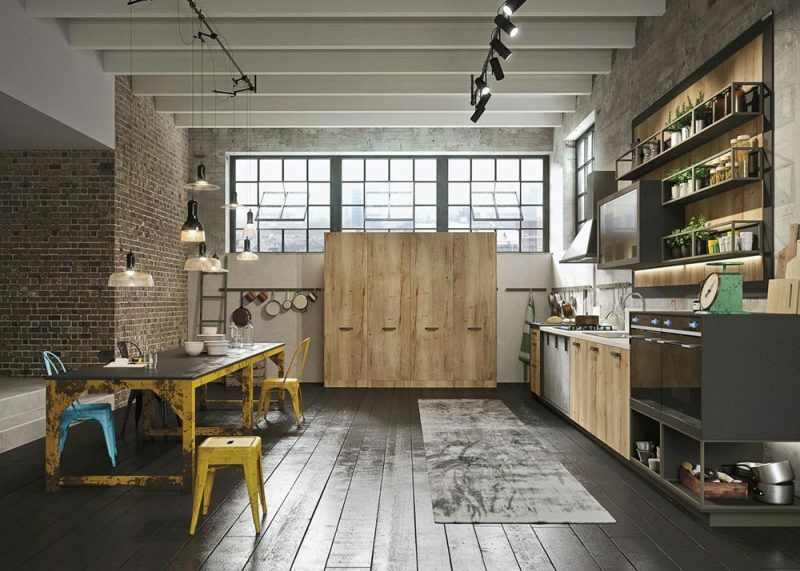 So if you are looking for a stare-worthy kitchen that is as organized as Martha Stewart herself, look no further than Loft!